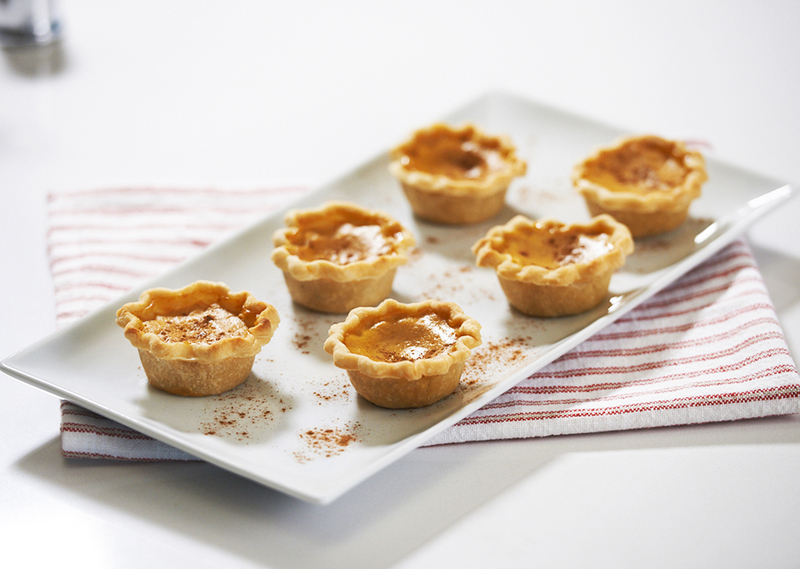 Create delicious pumpkin pie without turning on the large oven. 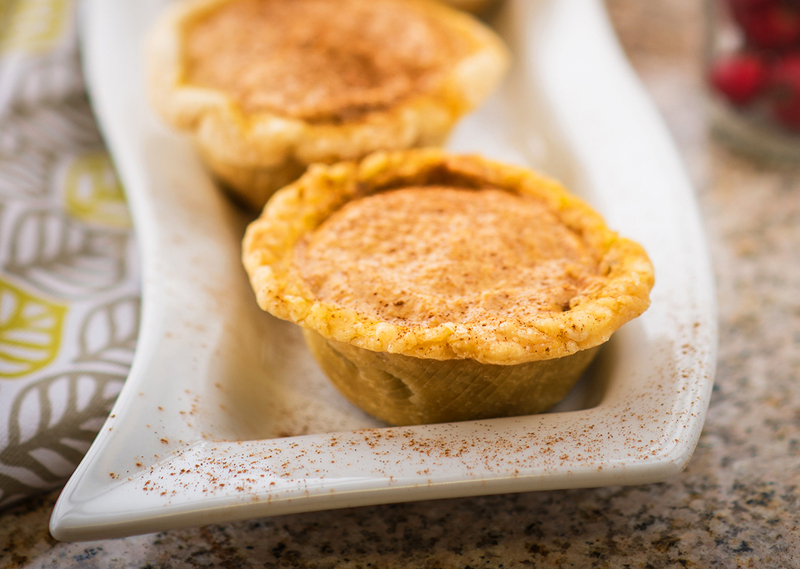 These personal-sized treats are great for holidays or a tasty fall treat anytime. Attach bake dish onto the bottom of the George Foreman Evolve Grill. Preheat to 400°F. Unroll piecrust and, using a 4-inch round bowl or cookie cutter, cut out 6 crust circles. Press crusts gently into each greased muffin cup, fluting edges, if desired. Mix remaining ingredients together in medium bowl until well blended. Fill each cup with about 1/3 cup of pumpkin mixture. Bake covered at 400°F for 10 min., then reduce heat to 300°F and continue baking 15-25 min. or until set. 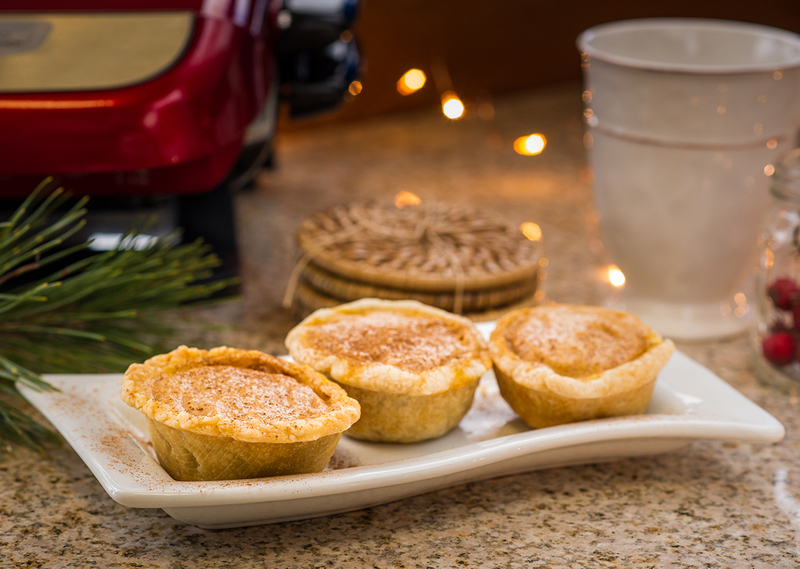 Remove muffin plate to cooling rack; gently lift pies out of muffin cups with a spoon. Cool on rack 2 hours. Top pies with a dollop of whipped cream or a toasted pecan half.